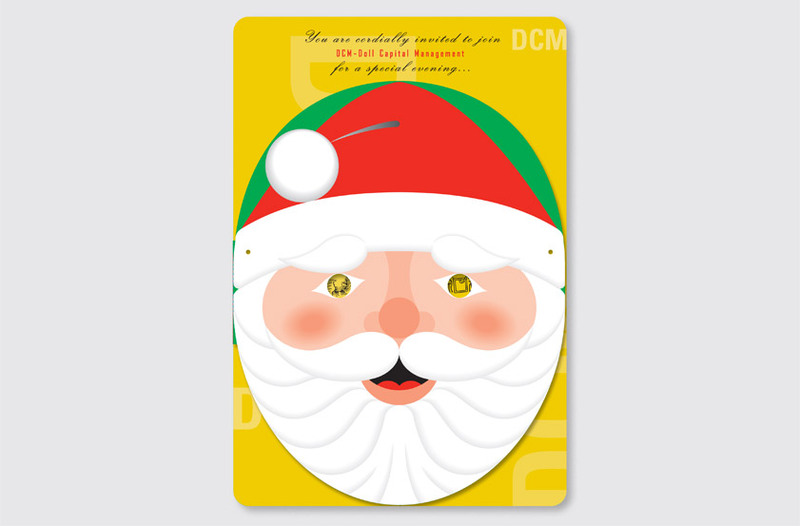 DCM is a leading Silicon Valley venture capital firm. 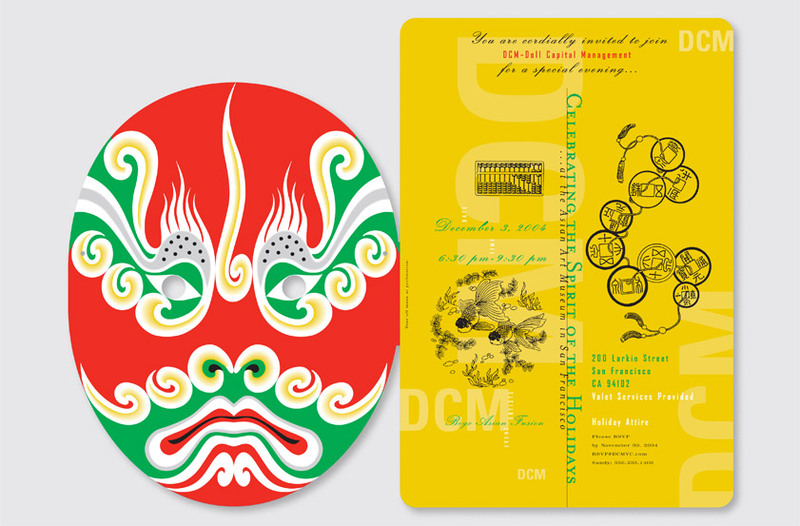 The firm’s holiday party featured an unusual venue, the newly-renovated Asian Art Museum of San Francisco, to reflect the firm’s expertise in making successful Asian technology investments. 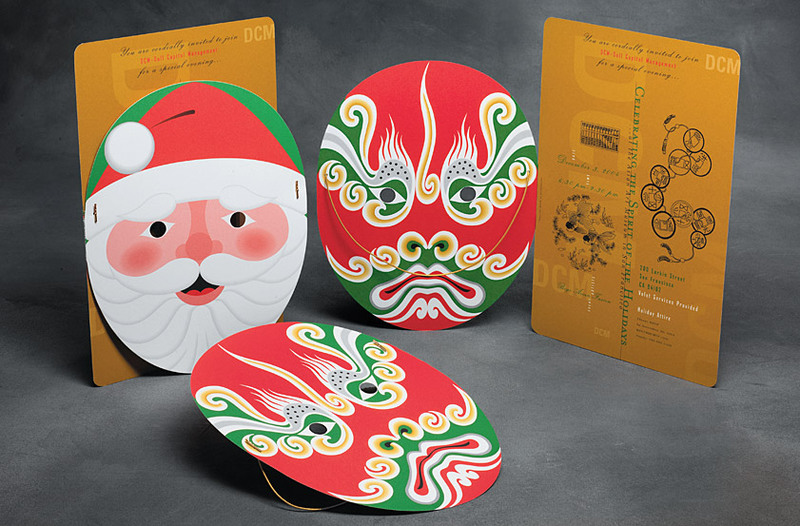 Our solution encourages attendees to celebrate the “Spirit of the Holidays,” connecting the holiday theme with its Asian venue by creating a tear-off mask of Santa Claus on the front and a Chinese Spirit on the back.